The Near-Earth Object Wide-field Infrared Survey Explorer (NEOWISE) and IPAC at the California Institute of Technology announce the NEOWISE 2018 Data Release. The 2018 Data Release makes available the 3.4 and 4.6 μm (W1 and W2) Single-exposure images and extracted source information that were acquired between December 13, 2016 and December 13, 2017 UTC, the fourth year of survey operations of the Near-Earth Object Wide-field Infrared Survey Explorer Reactivation Mission (NEOWISE; Mainzer et al. 2014, ApJ, 792, 30). The fourth year NEOWISE data products are combined with the first three years into a single archive that contains approximately 10.2 million sets of 3.4 and 4.6 micron images and over 76.8 billion source detections extracted from those images. NEOWISE scanned the sky nearly eight complete times during the first four years of survey operations, with six months separating survey passes. Twelve or more independent exposures are made on each point on the sky during each survey epoch. Therefore, the NEOWISE archive is a time-domain resource for extracting multiple thermal flux and position measurements of solar system small bodies, as well as background stars and galaxies. 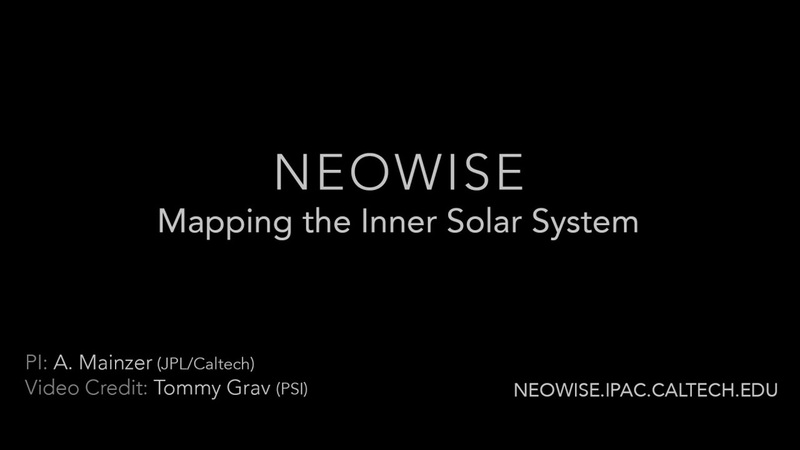 A quick guide to the NEOWISE data release, data access instructions and supporting documentation is available at http://wise2.ipac.caltech.edu/docs/release/neowise/neowise_2018_release_intro.html. Access to the NEOWISE data products is available via the on-line and API services of the NASA/IPAC Infrared Science Archive at https://irsa.ipac.caltech.edu. NEOWISE (PI: A. Mainzer) is a project of the Jet Propulsion Laboratory/California Institute of Technology. NEOWISE is funded by the National Aeronautics and Space Administration Planetary Science Division. IPAC is responsible for ingestion and processing of raw data, production of final data products, archiving mission science and engineering data, and distributing WISE data to the community through NASA/IPAC Infrared Science Archive (IRSA). The IPAC Communications & Education team supports public affairs and outreach by preparing mission images for public release.